The first day of fall is this week, and so the viciously bright neons and the whimsical glitter mixes are being put into storage for next year, and the dark muted colors are coming back. Well, for some people that’s happening. It’s not happening here. I’ll wear my neon orange whenever I want. I am, though, going to be using a lot of blue colors throughout the season. A lot of my recently acquired colors are blues, and I’ll be trying lots of colors I’ve never used before, ones I’ve had for a few days and ones I’ve had for a few years. I have some great things planned for this season. 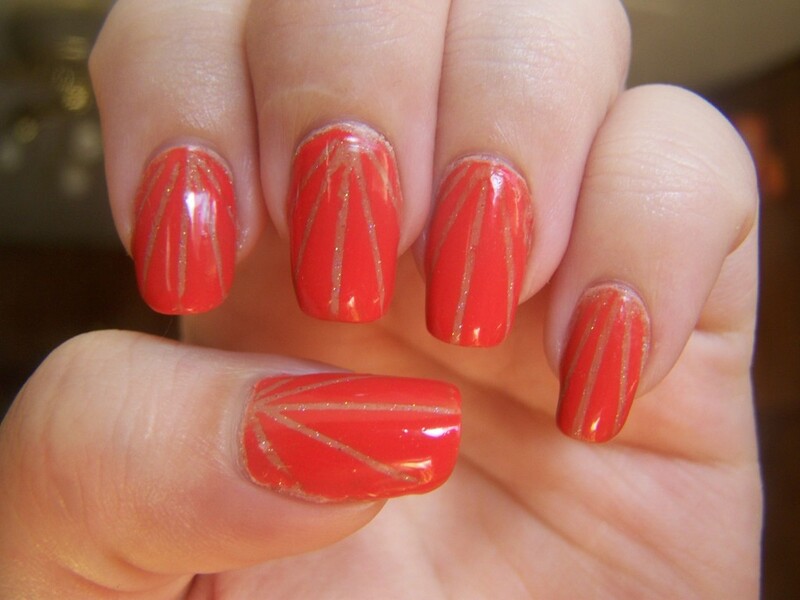 I did a similar manicure in July, and decided to try it again with different colors. I like it much better this time. The dark blue side of the Moon Candy is almost black, but over the white, it’s very blue. 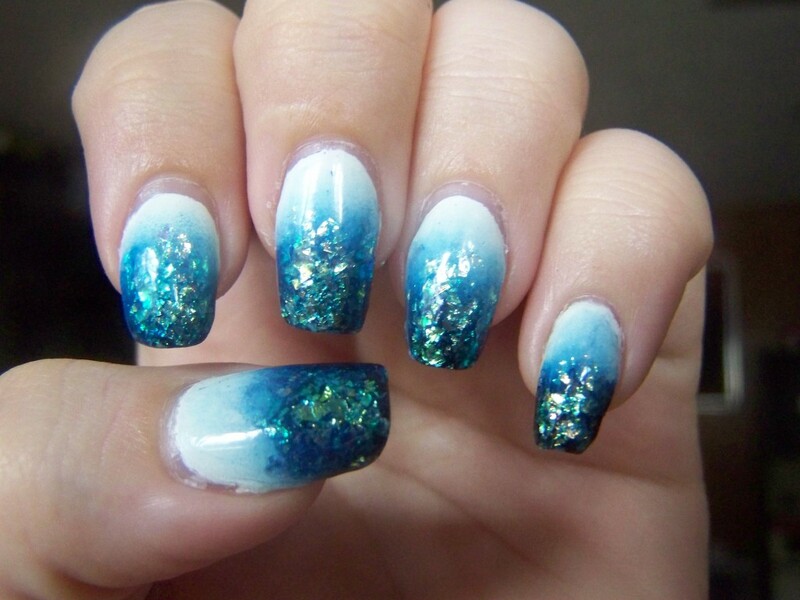 After putting the shredded glitter over the blue tips, I got this wonderful oceanic effect. It really makes me want to book it to the beach. I know this was meant to be a fall manicure, but as it invokes thoughts of swimming, of sunshine and water, it’s anything but appropriate for fall. This was intentionally blurred to show the colors. Maybe. Of course, I encountered a few problems with this week. 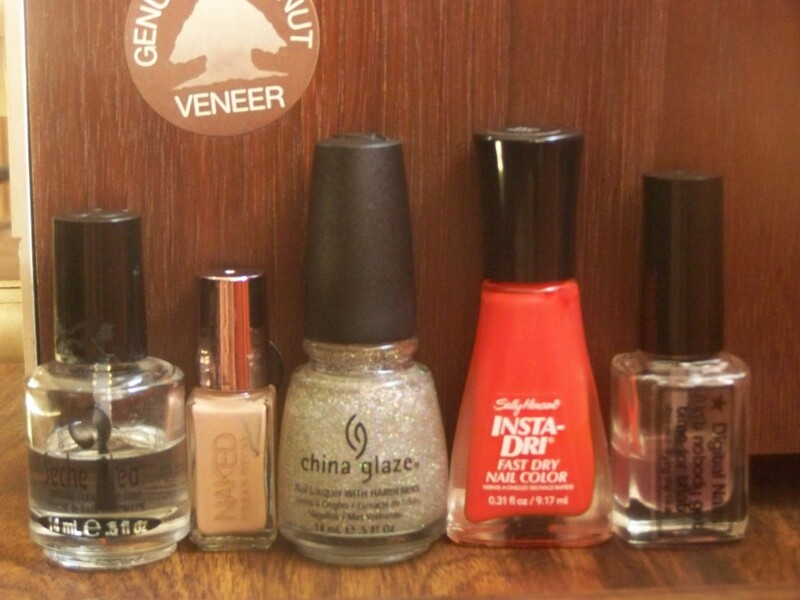 Something I’ve consistently had trouble with is Revlon’s double-ended polishes. I’ve had the brushes start losing bristles, I’ve had the cap break completely off, and I’ve had the polishes completely dry out. The Moon Dust I used this week was one of those. I had to thin out the glitter side once before, when I noticed the agitator ball was suspended in the middle of the polish. When I opened it to use it this week, I had the same issue. The blue was thick, stringy, goopy. The glitter was impossible to remove from the bottle. I put some thinner in it and let it sit overnight, but maybe I used too much, because it was kind of watery. 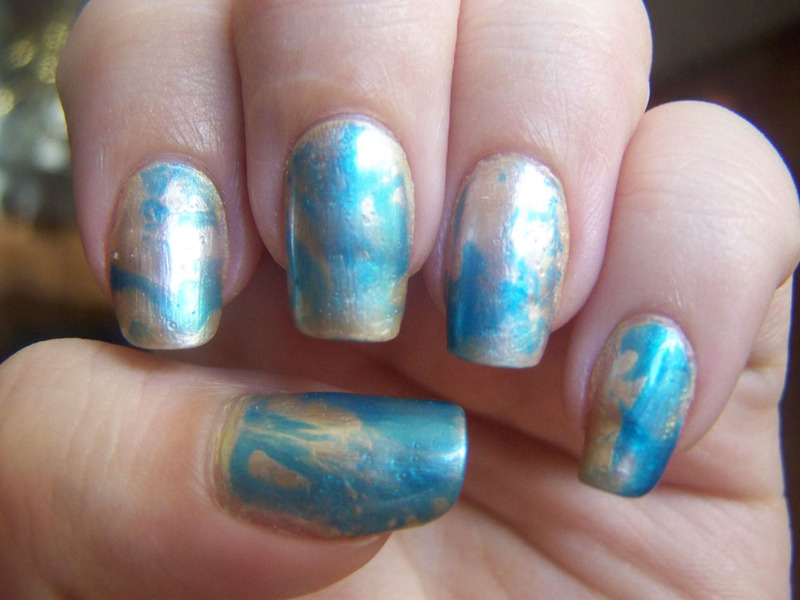 I also had a hard time getting the colors to blend, and once the watery glitter was added, it kind of smeared the gradient around. I’d be mad if I didn’t like it so much. Sally Hansen’s Hard to Get, Revlon’s Moon Candy in Moon Dust. 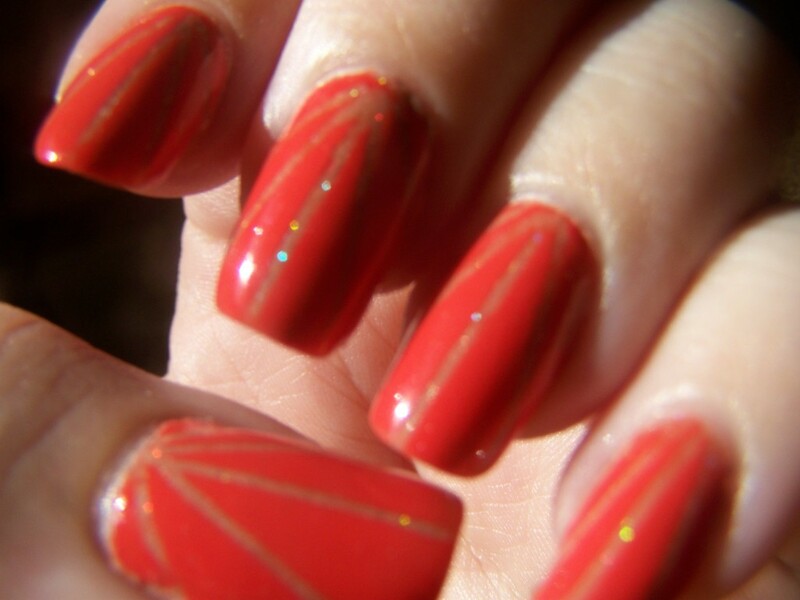 I went back to Seche Vite this week because my Digital Nails topcoat is now this strange reddish orange color, and I was afraid it would affect the white polish. I was also afraid it wouldn’t smooth out the coarse glitter as well. Hard to Get is back, too. This bottle is like a workhorse. I use it for everything, and as a result, it’s almost time for a new bottle. So yeah, fall manicures. Bring it on. Today I have two colors: one I absolutely love, one that’s kind of meh. I also have a new technique that gave me a result completely unlike what I expected, and not in a good way. 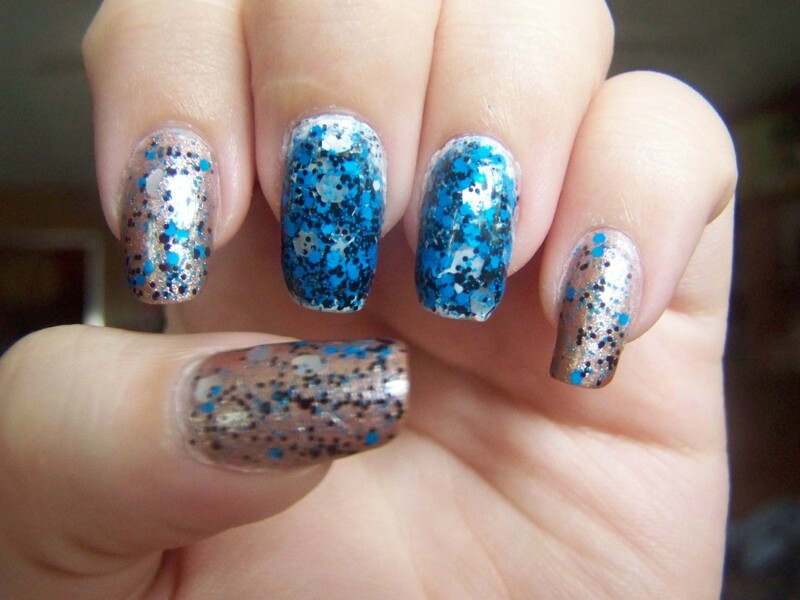 Quite some time ago, cutepolish posted a tutorial for water spotting. It’s done much the same way water marbling is; you drop polish onto water, but this time, you spray it with alcohol, which makes holes in the color. 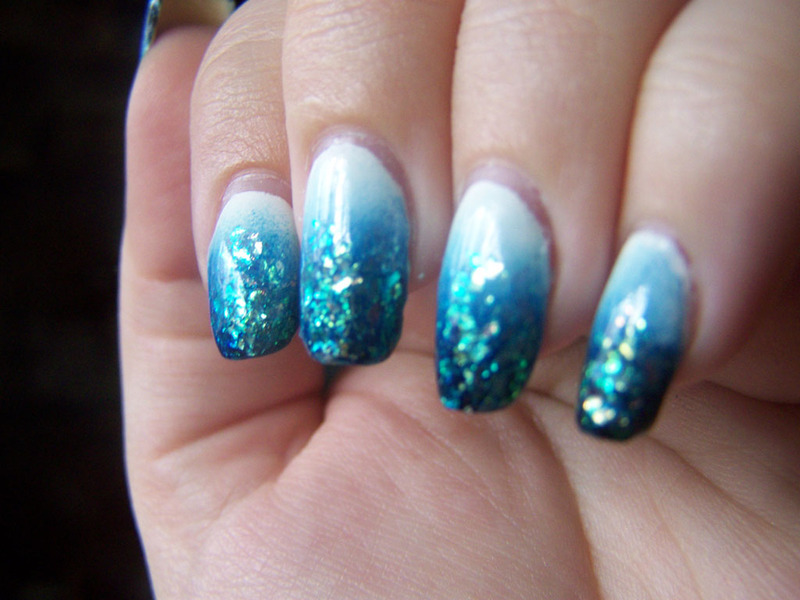 You dip your nail in, and like magic, you have this cool effect. Well, I got something completely different. It’s not bad, but it’s not what I was going for. I think the alcohol product I used may have been the culprit; I used a body spray that had been in the fridge for a while, so it’s probably my fault. 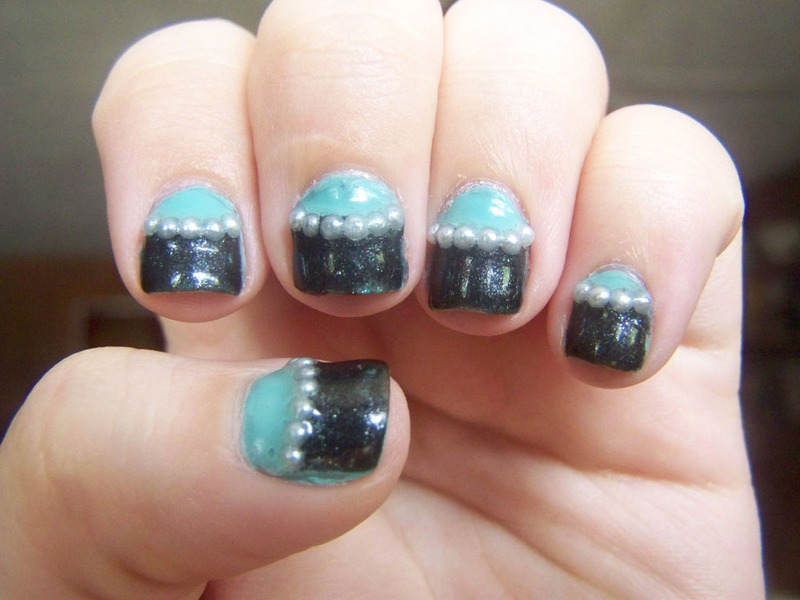 My two colors this week are Teal the Cows Come Home by OPI, and Amelia by Julep. Amelia looks beautiful in the bottle, but is rather sheer; I have on two coats, and you can still see my nail line. Teal the Cows Come Home is gorgeous after two coats, but after the marbling technique, the light color beneath, and whatever effect the alcohol may have had on the polish, the color is thin, barely visible in some places. Having said all that, I like these colors together. The summer is ending, the last days are fleeting, and I feel that urge to preserve it, to capture it in any way possible. I dislike autumn; I dislike the cooling temperatures, the leaves, having to wear a jacket, the muted colors, all of that. Well, autumn itself isn’t so bad, but it’s really just a stepping stone to winter, and winter and I aren’t friends.